A few more photos from 2002, a year when the grain crop in the district was substantially reduced yet the coal and mineral sands trains continued on unchanged. The coal train still providing the odd surprise in locomotive haulage. 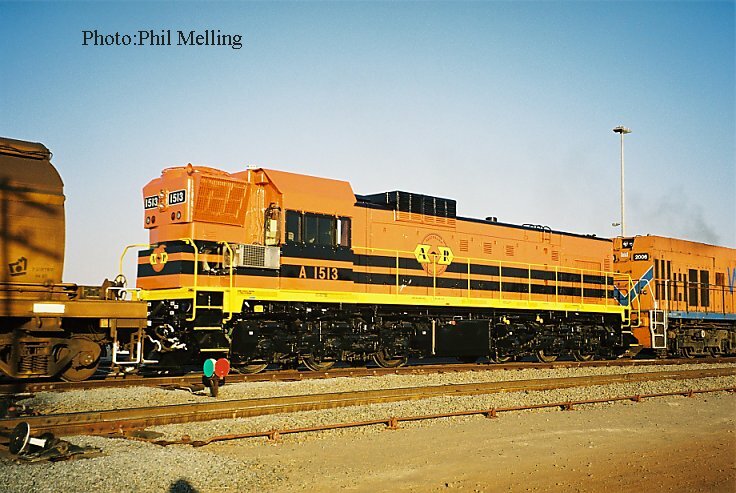 On 19 December 2002 P2006 hauled the coal train south out of Narngulu and dead attached was A1513. The A had assisted the P class with extra wagons on the loaded coal. The A had only been outshopped in its new ARG livery in the previous week. 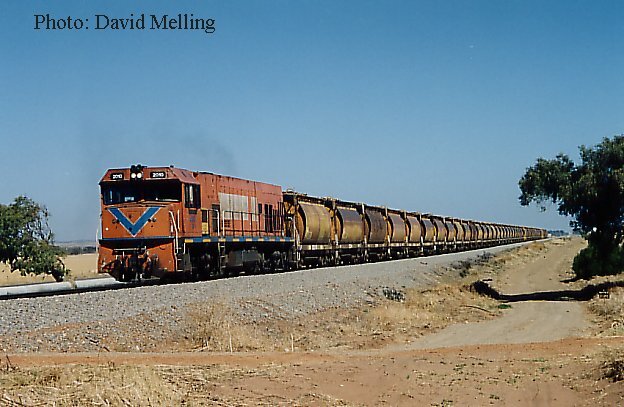 P2012 "Shire of Mullewa/DA1572 haul a loaded grain train through Wicherina on the Geraldton to Mullewa Railway on 27 July 2002. The train is heading to Narngulu/ Geraldton. P2010 is a little bit unique in that the large Westrail name once painted on its side has been painted out with grey paint (most locomotives have had the name painted out with the corresponding locomotive colour ie. orange). 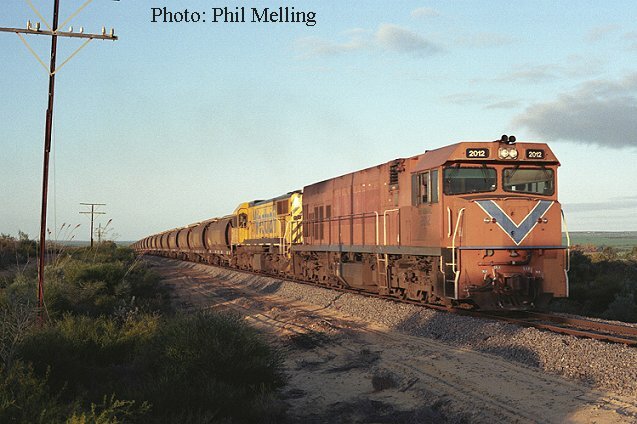 P2010 is seen just south of Narngulu on 16 November 2002 with a loaded mineral sands train. 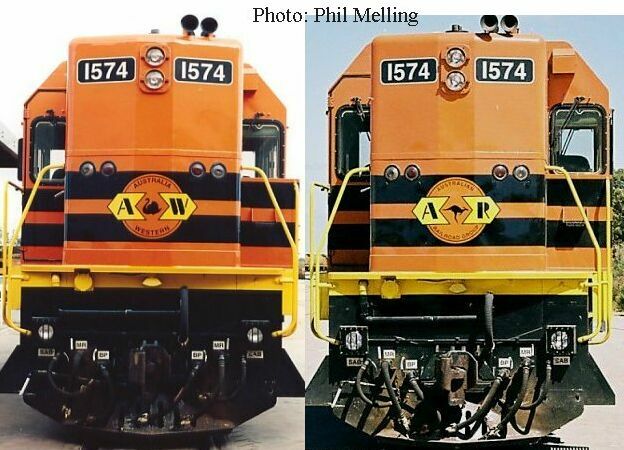 Taken only a month apart, the view on the left shows DA1574 with Australia Western Railroad logos, the photo on the right taken at the end of the month with the parent company name Australian Railroad Group logos applied. Photos taken November 2002.